Israel has a baseball team, and a succesful one, at that. Who knew? 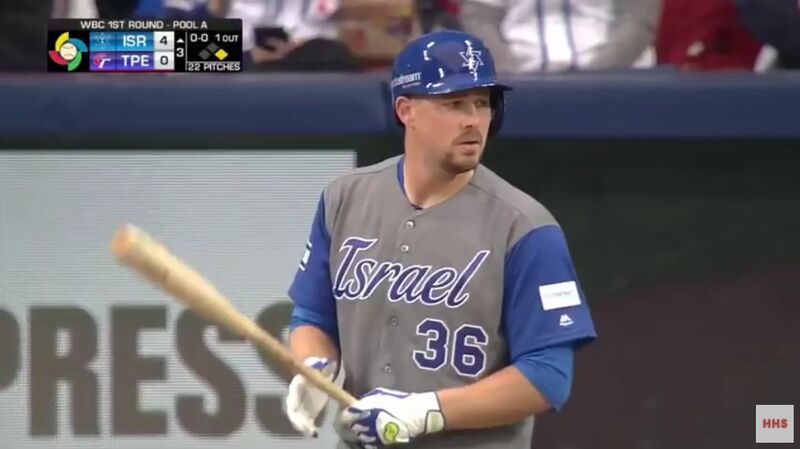 Team Israel's surprising successful baseball team is still holding the best record so far this year in the World Baseball Classic despite losing its first game to the Netherlands. Israel was the lowest-ranked team to qualify for the showcase tournament, coming in at 41st in the world. But last week in the first round, the Israelis squeaked past third-ranked South Korea, 2-1, in extra innings, outscored fourth-ranked Taiwan, 15-7, and defeated ninth-ranked the Netherlands, 4-2, to finish first in Pool A with a 3-0 record. This is the first year that Israel has qualified for the tournament. In 2012, its inaugural WBC squad narrowly missed advancing past the qualifiers. Most of the players are American Jews, among them several former major leaguers. WBC rules state that players who are eligible for citizenship of a country may play on its team. Jews and their grandchildren, and the grandchildren’s spouses, have the right to become Israeli citizens.